FDM4’s annual Users’ Conference brings it all together. We provide attendees with practical sessions, building the skills and knowledge needed to make the most out of your technology. First and foremost, FDM4’s Annual Users’ Conference focuses on providing attendees with focused information. We will demonstrate product best practices, making the most of current capabilities, and how to take advantage of new enhancements. Our experts develop curriculum to ensure attendees get an immersive, educational experience. Our Users’ Conference provides a look into what we’re developing for the upcoming year and beyond. FDM4’s executives provide attendees with a roadmap of the features and functions planned for 2018. Sessions include a look into development, updates, and version releases. We are always keen to hear from our customers. Some of the leading advances in our technology come from hearing the needs and suggestions of conference attendees. Provide our team with information on your vision for the future, key trends that matter to your industry, and how you get the maximum value out of your software. Participants will have endless opportunities to network, share their experience, teach, and learn throughout the event. Not only will participants have the chance to hear from others during sessions, FDM4 also provides several unique networking opportunities where attendees can network one on one. Our unique badges will help navigate – allowing attendees to find others in their field and industry. We provide Breakfast, Lunch and Dinner throughout the event, ending with our joint FDM4 Users’ Conference & Annual EASI meeting joint entertainment event. Fueling minds and bodies is an important part of ensuring participants get the most out of the conference. On top of that, attendees will taste some of the best food Tennessee has to offer. Beginning April 3rd, 2018, the FDM4 Users’ Conference offers our customers a forum to meet with our executives and product experts to gain first hand experience. We have built sessions to be engaging, involving guest speakers and hands on demonstrations. This years agenda includes talks by Progress, Avalara AvaTax & CertCapture, and DiCentral, while the Group discussion will be facilitated by TSC’s Steve Mitchell and the Customer Service Team. Explore the agenda to see what else is planned for 2018. 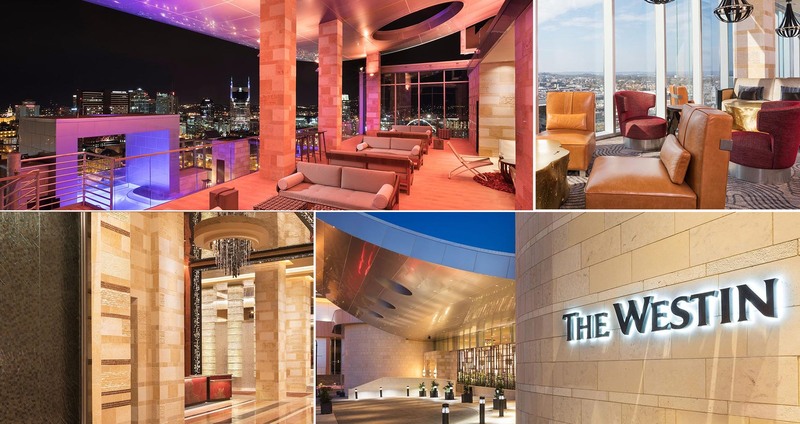 Hosted at the Westin in Nashville Tennessee, this year’s conference is located in the hub of the city – providing attendees with an amazing session space, as well as access to the best of Music City. Participants will enjoy the elegant design of the hotel and be able to take in the energetic atmosphere only found in downtown Nashville. When it comes to choosing a location, every year FDM4 chooses, with the help of the previous year’s attendees, a new location for the annual conference. Rotating between the East and West coast, we ensure our clients have easy access, while also providing the opportunity to explore America. While you may not be able to make it to this year’s event, our conference is held annually. Keep an eye out for future communications!